Dewy mornings are a great reminder of just how very many spiders there are out there in the world. 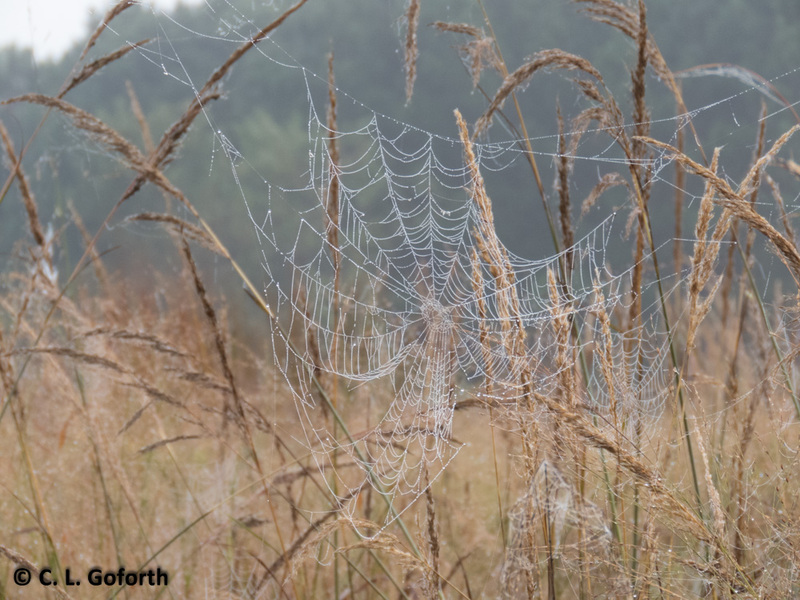 All those webs represent a great – and essential – service that spiders perform: helping keep insect populations in check. Regardless of whether you like spiders or not, you need them, so thank a spider next time you see a dewy web! I agree – I love to see the spiderwebs highlighted by the dew! We get some huge webs here (Philadelphia suburbs) from orb weavers, webs in the grass, it’s amazing to see how many there are if you get out early.